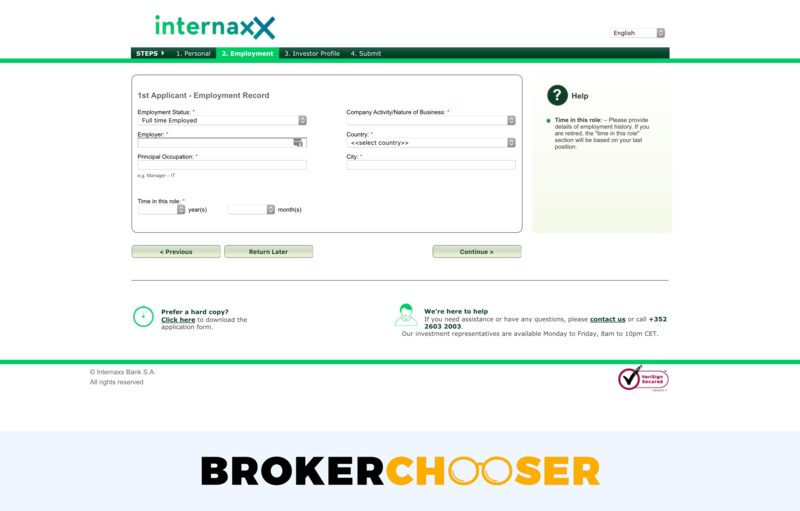 Internaxx is a Luxembourg-based online broker specialized in international investors and expats. It was established in 2000. It is regulated by CSSF, the Luxembourg financial regulator. Internaxx is considered safe because it is regulated by the top-tier Luxembourg regulator, it has a banking license, and the investor protection amount is high. Internaxx has a great research delivered by Morningstar, a professional research firm. There are a lot of investment funds, more than 600. It has a banking license, therefore faces a tougher regulation and you get a higher than average investment protection. Internaxx has high fees, especially if you trade with lower volumes. You will face a sluggish account opening process, as it is not fully digital and you have to submit documents via the post. Education materials are limited to a couple of articles. 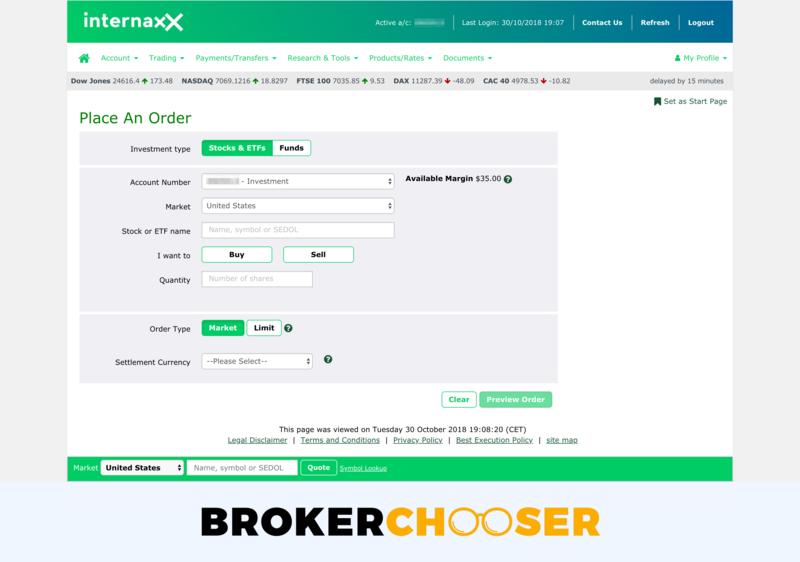 Internaxx offers high trading fees and average non-trading fees. It has an easy to understand fee structure. US tech fund fee Low Quarterly fee is €15 or 0.1%. If more than 2 transactions, €24,95 is charged. We compare Internaxx fees with its peers, DEGIRO and Saxo Bank. Internaxx's trading fees are high, especially if you trade at a lower volume. On the other hand, the fees are really transparent. Internaxx's stock and ETF fees for a typical trade are high compared to other stockbrokers. The stock and ETF fees are based on the number of monthly trades. The more you trade the better conditions you get. Below a certain monthly threshold you should count with a €14.95 minimum fee as well. Forex fees include the commission, the spread cost and the financing fee as well. Internaxx's fund fees are low, however you should count with a quarterly administration fee. If you do less than two transactions per quarter, you need to pay only the quarterly administration fee of 0.1%, minimum €15. However, if you do more than two transactions per quarter, every subsequent transaction will be charged by €24.95. Keep in mind that there is a required minimum transaction volume of €2,000 per fund. Option fees are also high. Options fees depend on the currency of the underlying product. Trading futures at Internaxx is pricey. Futures trading fees depend on the monthly traded volume and the currency of the underlying product. 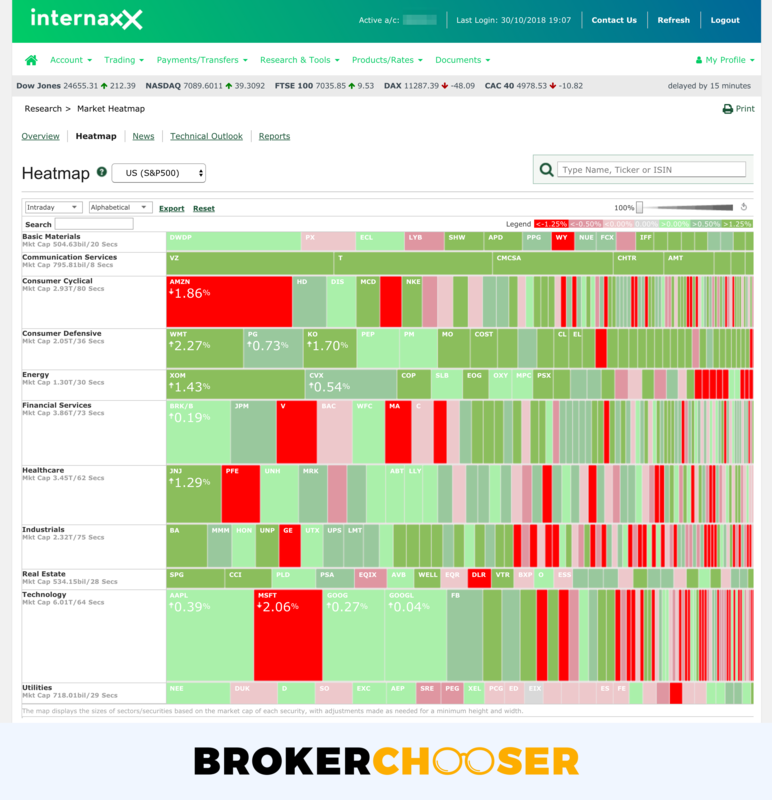 Similarly to the real stocks, Internaxx's stock CFD costs are also high. At Internaxx you can buy cryptos only through ETNs (exchange-traded notes). At the time of the review, you can trade with Bitcoin and Ether ETNs on the Stockholm Stock Exchange. 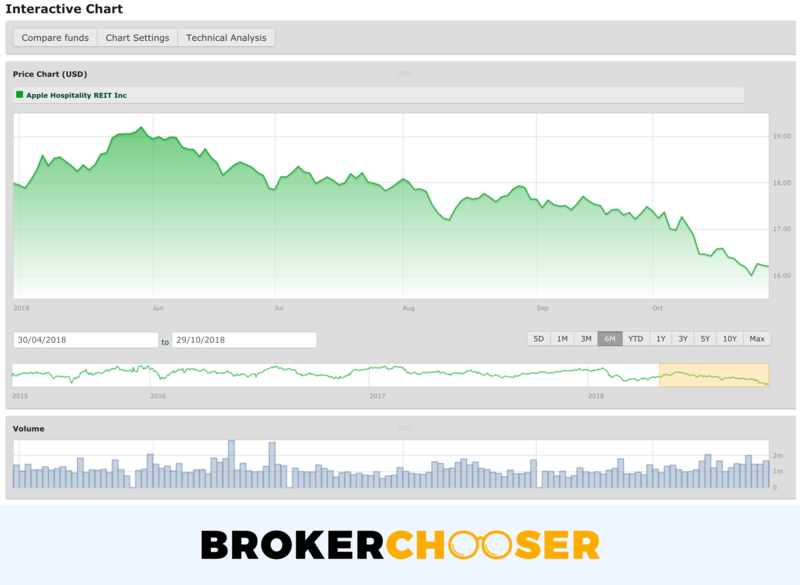 Internaxx's trading cost here is 0.1% + €49.95, if you trade less than 10 in a month. If you want to understand what is a crypto ETN check out our crypto blogpost. Internaxx's financing rates are high either. 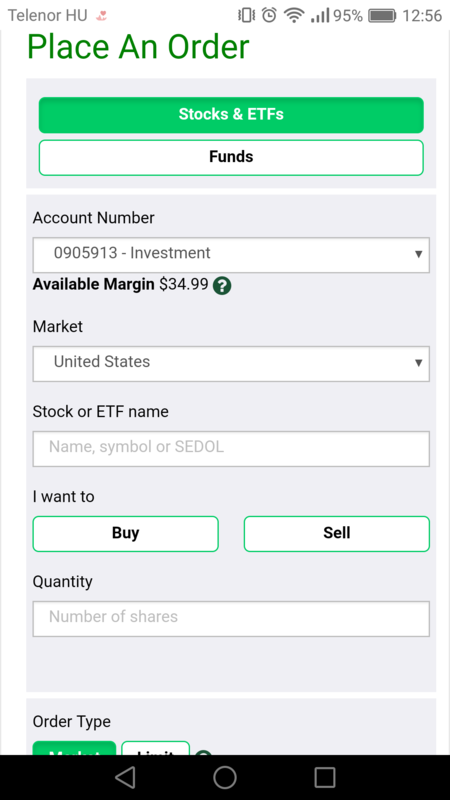 When you trade on margin, you borrow money from your broker. This has a borrowing cost, called the financing rate you pay for the broker every day based on the volume of your position. Let's compare the yearly financing rates of two typical stocks. The financing rates are calculated as a base rate plus a markup. The non-trading fees are also trasparent. However, Internaxx charges a fee if you don't trade for three months, and in some cases for money transfers. At Internaxx inactivity fee is called account maintenance fee. If you trade less than 12 trades per 3 months, a quarterly fee of €25 is charged. If you don't trade for 3 months at all, you will be charged by a quarterly €45. You can deposit or withdraw only by bank transfer. The deposit has no fee. Withdrawal is free if you transfer less than €50,000 to a member state of EU plus Iceland, Norway, Switzerland, and Monaco. All other withdrawal is charged by €10. A 0.2-1% forex conversion fee is also charged for trades other than your account base currency. Internaxx does not charge custody fees. You can open an account without a required minimum amount. However, the process is not fully digital, you need to submit the docs by post. Internaxx focuses on international investors, and especially expats, it serves a lot of countries. 74 country residents are served including all European countries and most major non-European countries, e.g. Australia, Canada, Hong Kong, etc. No US customers though. 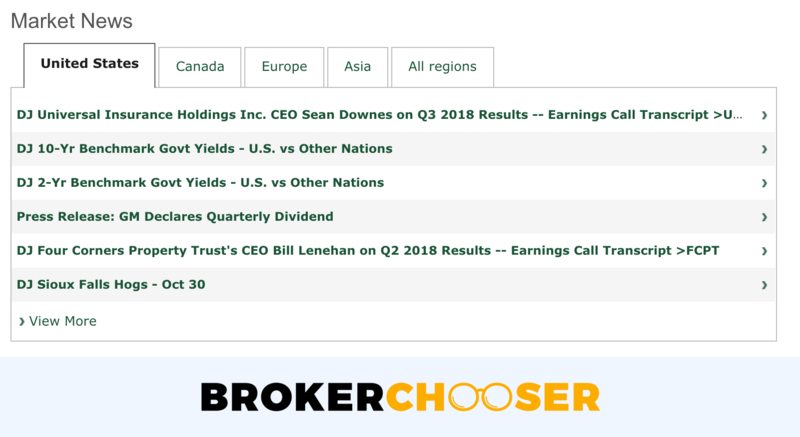 To check if your country is available, use the broker selector tool. At Internaxx there is no minimum funding requirement. When you have a multi-currency account, you can trade with stocks, ETFs and investment funds. Derivatives accounts give you access to forex, CFDs, futures and options products. The derivatives account is available via the Saxo Bank platform. The account opening time can take several days as you will have to send you documents via post. Therefore, the account opening process is not fully digital. For the account opening you will need an ID and a bank statement for proof of address. At Internaxx you can have your account in 9 different currencies. This is convenient. On the other side, you can deposit and withdraw only via a bank transfer. At Internaxx you can have your account in 9 different currencies: EUR, GBP USD, CHF, HKD, AUD, SGD, CAD, SEK. If you deposit your account in a different currency, a conversion will happen. This will have a 0.2-1% currency conversion fee, depending on your deposited amount. Internaxx's deposit fees are free of charge. You can make your deposit only through a bank transfer. Depending on the currency and the destination country, the transfer takes 1-2 days. If you transfer on a weekday before 11 am CET, your transaction will be executed on the same day. Internaxx's withdrawal fees are free if you withdraw below €50,000 to a member state of EU plus Iceland, Norway, Switzerland, and Monaco. All other withdrawal is charged by €10. You can withdraw only via a bank transfer. Internaxx has a well-designed and user-friendly web trading platform. However, it lacks the customizability, the two-step login and order types are limited. You can use two trading platforms with Internaxx. If you open a standard, multi-currency account, you will use Internaxx's own platform. With a "derivatives" account you will trade at Saxo Bank's trading platform. In our Internaxx review, we tested Internaxx's own trading platform. If you want to check Saxo Bank's trading platform, visit our Saxo Bank review. You can use Internaxx's web trading platform in English, German and French. Testing Internaxx's web trading platform was a great experience. It is a well-designed and easily manageable trading platform. You can't customize the platform, but the default workplace is very understandable and logical. You can use only a one-step login. The safer, two-step authentication is missing. The search function works fairly well if you know the market of your searched product. For example, you should know that the Apple share is traded on the US market since first, you have to select the market. You might have some uncertainty if you do not know the exact ticker of the product you want to trade. When you search for Apple, all the shares will pop up that includes the Apple word. So, you should know the exact name or the exact ticker of the equity. We missed from this list the stop limit and trailing stop orders. The available order terms are defined in days. You can set up a one day, 25 days or a customized term order up to 90 days. You cannot set up price alerts and you do not get any notification after your order was executed. The portfolio and fee report are transparent and easy to understand. You will find out easily the costs associated with your account. We really liked the settlement calendar. This is a unique and helpful feature as you can get a clear overview on the settlement dates of your trades. 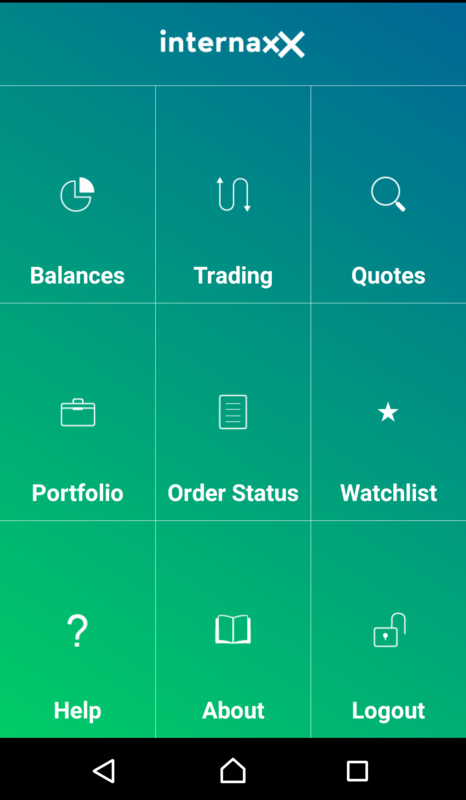 Internaxx has a basic, but user-friendly mobile trading platform. The mobile app is available for iOS and Android. We tested both. You can use Internaxx's mobile trading platform in English, German and French. The mobile platform is well-designed and has a good and logical structure. It cannot be customized. You can use only a one step login. The safer, two-step authentication is missing. The search function works similarly to the web trading platform. Same as the web platform. At Internaxx you can trade with almost all asset classes except for bonds. You will have access to a great investment fund list while other asset classes are mid-range. At Internaxx you can trade all the asset classes except for the bonds. The fund selection is outstanding, but for all other products you cannot access a lot of markets. For forex, options, futures and CFD trading you will have to open a second, derivatives account. At this account, you will use Saxo Bank's trading platform. You can read about Saxo Bank's platform in our Saxo Bank review. CFDs are complex instruments and come with a high risk of losing money rapidly due to leverage. Between 74-89% of retail investor, accounts lose money when trading CFDs. You can trade equities in 17 markets worldwide. This is mid-range to competitors like DEGIRO with 32 stock markets and Saxo Bank with 36 stock markets. You can trade with more than 9,000 ETFs. This offer is quite good, compared with DEGIRO's ~6,000 and Saxo's ~3,000 ETFs. At Internaxx you can reach over +150 currency pairs. 150+ currency pairs are quite good, compared to Interactive Saxo’s ~180 currency pairs or to DEGIRO which doesn't provide forex trading. Internaxx gives you access to ~600 funds. This is one of the best offers compared to competitors, like DEGIRO's ~580 funds or Saxo which doesn't provide access to investment funds. You can trade with futures of the following underlying: commodities, stocks, indexes, bonds, and currencies. Internaxx gives you access to 22 markets globally. You can invest into Bitcoins and Ether through ETN instruments traded on the Swedish stock exchange. If you want to know more about crypto investing, we recommend our crypto blogpost. Internaxx research is good quality. It is by Morningstar and Trading Central. Morningstar is a very reputable research company with great materials. The charting tool should be improved. Internaxx offers you recommendations and trading ideas based on both fundamenetal and technical analysis. Recommendations are available for stocks, stock indices, forex and commodities. This is really great and can help you very much. 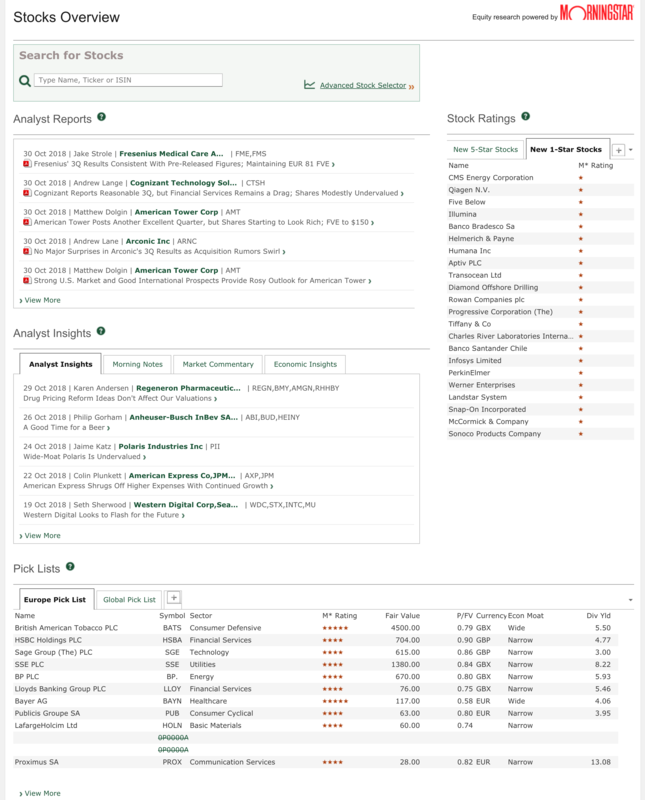 Fundamental recomendation is by Morningstar, while the technology is by Trading Central. You will find a great depth of financial data for equities, reports, and historical company data. 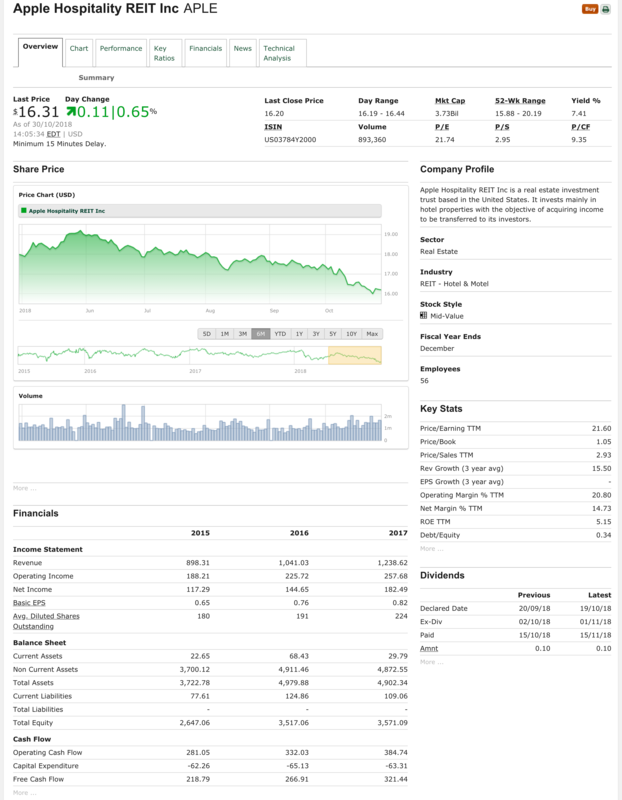 Morningstar reports cover individual stocks, sectors and also a quarterly market outlook. The company data is available for the last 4 years. The charting tool has a great design, but the functionality is average. It is good you can add more assets to one chart, but you can open only one chart at a time. We really missed the save function. Without this you have to set your charts each time you login. The Dow Jones sourced news flow is good, however, its search function is a bit sluggish and did not work always when we tested. Unfortunately, you cannot sign up for any newsletters. The economic calendar is missing as well. Advanced screening tools are also in place for stocks, ETFs and funds. These are great if you want to filter based on multiple criteria. You can contact Internaxx by telephone or e-mail. Live chat is not available. The support team is very kind and provides relevant answers. You can contact the customer support in English, German and French. The speed and the relevancy of the answers were great, however, we missed the 24/7 availability. You will find some educational articles, but tutorial videos, webinars and a demo account are all missing. Only some basic education articles are available which are not suitable for beginner clients. You cannot have a demo account with Internaxx. Internaxx is regulated by the top-tier CSSF, the Luxembourgish financial regulator. It has a banking license and provides a €100,000 account protection. It's not listed on any stock exchange. Internaxx is a Luxembourg broker established in 2000 serving clients from all over the globe. Is Internaxx safe? To be certain, it is best to check two things: how you are protected if something goes south and what the background of the broker is. Financier (CSSF) Internaxx Bank S.A.
Internaxx is a Luxembourg private company established in 2000. It has 18 years track record. The longer the track record, the better. Longer track record means the company was able to manage financially tough time periods, like the financial crisis in 2008. Furthermore, Internaxx has a banking license, as such, it is facing tougher regulation than brokers. The company is owned by one of the biggest UK brokerage companies, Interactive Investors. On the other hand, Internaxx is not listed on any stock exchange which could mean more scrutiny and transparency. Internaxx discloses its financials transparently, and it is easy to access. Most of the products you can trade with at Internaxx are exchange-traded, like stocks and ETFs. This is good news. If Internaxx defaults your assets still will be safe. The only two exceptions are CFDs and forex. You will face a counterparty risk while trading these products. The counterparty of these products is Saxo Bank. If Saxo defaults and cannot pay you, you still will be covered by the investor protection up to €100,000. Having a banking background and being regulated by CSSF are all great signs for Internaxx's safety. 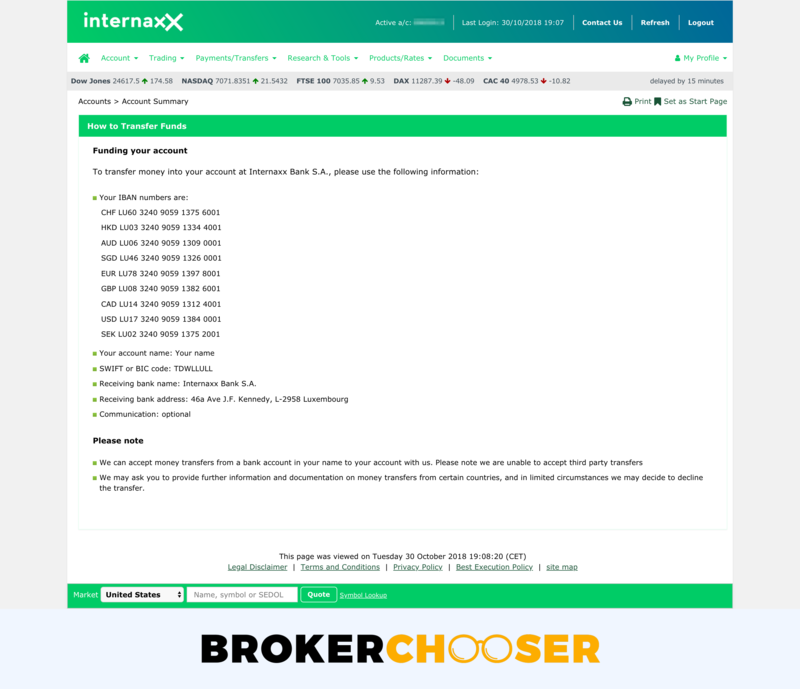 Internaxx is a safe broker from Luxembourg. 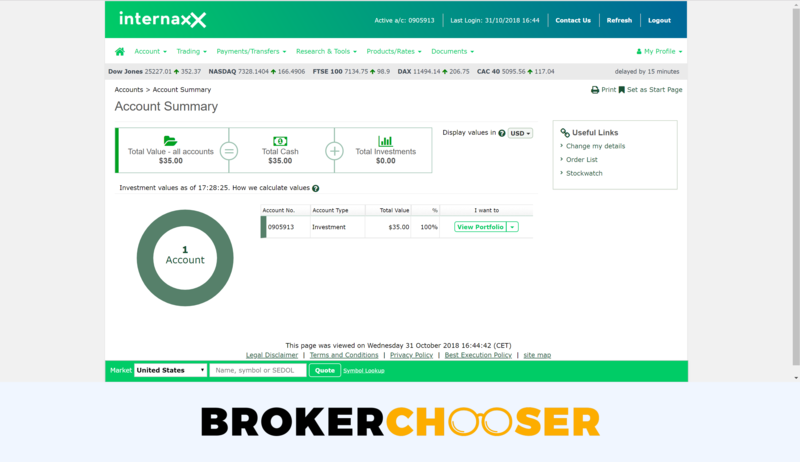 It concentrates on funds and stocks, but you can trade with almost all derivative asset classes on a separate platform operated by Saxo Bank. You will also like their research tools provided by Morningstar, a professional research company. Internaxx's banking license ensures a tougher regulation and a higher than average investor protection amounts. On the other hand, Internaxx’s trading fees are expensive and have a high inactivity fee. Account opening is not fully digital and therefore sluggish. You should expect only a couple of written educational materials and you can deposit your account only via a bank transfer. Choose Internaxx if you are an investor with higher amounts to invest and you want a broker from a top-tier financial jurisdiction.